Otto Haas was the quintessential entrepreneur.After the death of his father, a civil servant in Stuttgart, Germany, he was forced to go to work at the age of 15. Little more than a decade later, in 1907 Otto partnered with the chemist Otto Rohm in Esslingen, Germany, to create the Rohm and Haas Company, a maker of tanning materials. Haas expanded the fledgling company to Philadelphia in 1909 and worked tirelessly over the next half century to create a successful American corporation, which he ran with a firm hand up until two days before his death in 1960. Otto had a dynamic and influential partner in Phoebe Haas. Born on the North Dakota frontier, she traveled to Vassar and Berkeley to earn undergraduate degrees in mathematics and astronomy. She was among the first women to earn a Ph.D. in astronomy and met her husband in 1913 while traveling to South America to study the southern sky. 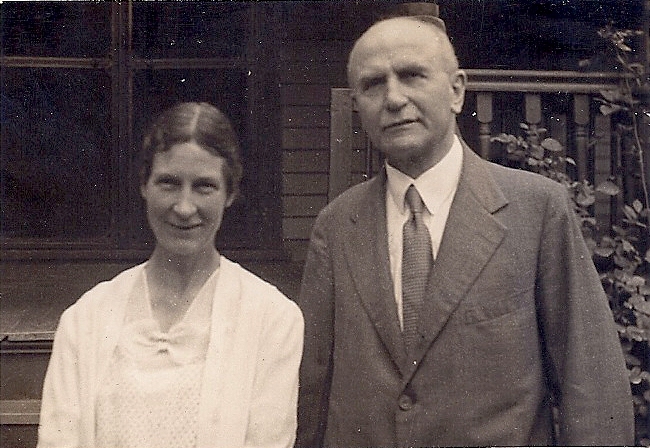 Otto and Phoebe were married in 1914. Together, they created the Phoebe Waterman Foundation in 1945, to support medical and educational institutions and help fatherless children (including those who had lost a father during World War II). Upon his death, much of Otto’s estate went to the Foundation. Sons F. Otto and John C. Haas, who followed their father into the family business, took on leadership roles at both the chemical company and the Foundation. In terms of philanthropy, F. Otto and his wife, Dorothy, (who also served on the board) were most interested in protecting open green space, historic preservation, and arts and cultural institutions. John and his wife, Chara, primarily focused on efforts to improve the quality of life for children and families, especially in disadvantaged communities. Along the way, the brothers chose to rename the foundation after William Penn, a 17th-century Quaker whose pursuit of an exemplary society led to his founding of Philadelphia, the City of Brotherly Love. F. Otto died in 1994 and John passed away in 2011. John served as chair of the board of the William Penn Foundation until 1992, more than 32 years in that leadership position. The next generation of the family currently leads the Foundation. The Dow Chemical Company acquired the Rohm and Haas Company in 2009, just a few months short of its 100th anniversary in Philadelphia. In December 2009, John had directed a significant portion of the family’s charitable assets from that sale to the William Penn Foundation in the same low-key manner in which his parents had contributed their own personal wealth over time. The contribution of $747 million in assets to the Foundation strengthens its capacity and ensures a strong future for its work. The legacy of the Haas family, which F. Otto and John led so ably through the closing decades of the 20th century, continues today, with Thomas W. Haas serving as chair of the corporation and Janet Haas, M.D., as chair of the board. Thanks to the tangible and intangible gifts that F. Otto, John, and their parents made, the Foundation continues to play an important role in improving the quality of life in Greater Philadelphia.